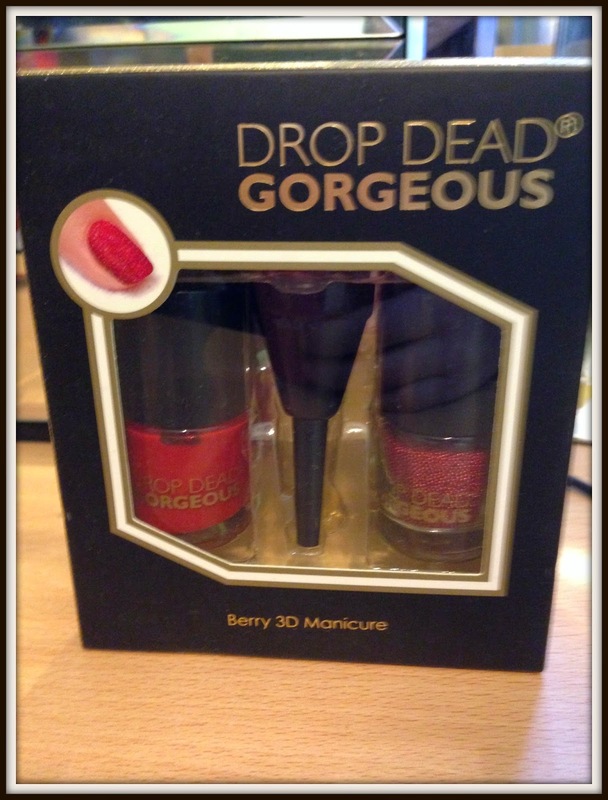 Drop Dead Gorgeous 3D Berry manicure is one of the all in one beauty ranges currently available in Tesco stores or online. 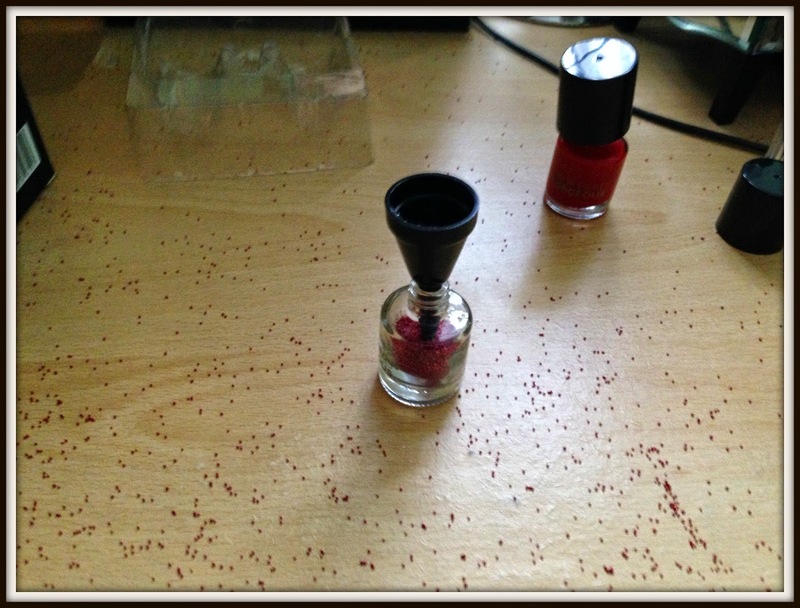 Included in the pack is a berry red varnish, red pearl stones and a little funnel. Now the premise of this set is fantastic, you get 3D nails in no time at all. Despite this being one of many of these sets on the market I have to say personally I don’t think it works at all. Firstly the nails dry so quickly you don’t have much time to apply the stones and when you miss a bit you have to apply more nail varnish to start again. I found the pearls went everywhere and when I tried to put it back into the bottle, well they say a pictures worth a thousand words! On the bright side the berry varnish is a lovely colour and the consistency is so thick you only need one coat. Generally the set is easy to use and if you have reflexes the speed of light you can probably get a really nice 3D effect. Unfortuantely I guess I’m just a little slow off the mark. 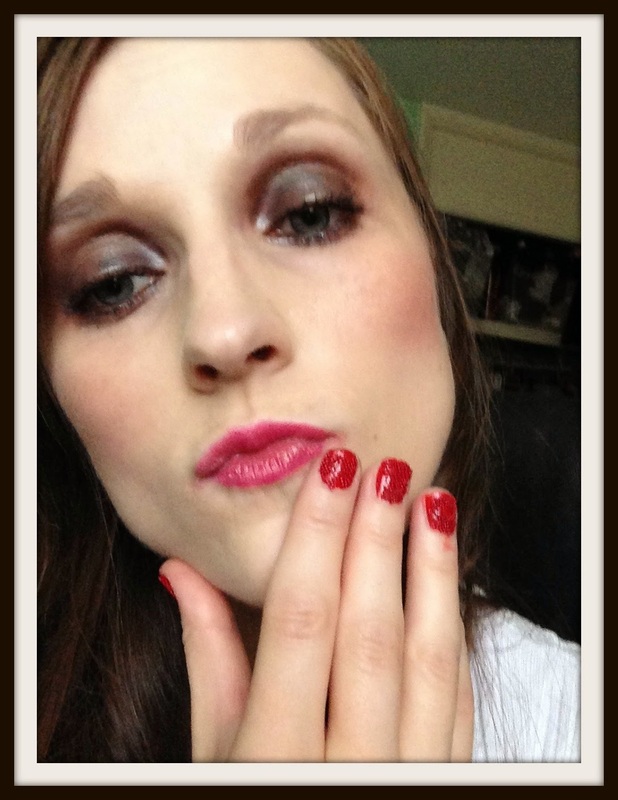 Next Post Makeup Revolution Dazzle lipstick video review: A bargain at just £1.00!